Should pupils be given choice over what they study? Economic liberalism has long exalted the role played by markets, and the notion of consumer choice sits at the heart of this idea. If I want to buy a new computer, I can choose from several different companies offering different machines, and I therefore choose the best machine I can get at the price I can afford. If a company is pricing its machines incorrectly then it will not make any money and collapse. In a market, things need to be allowed to fail. In most cases, I am content with this situation, and indeed the existence of markets and consumer choice has made my life better in countless ways. I am uneasy, however, about turning the school curriculum into a market by turning pupils into ‘consumers’ who can choose what they want to study. There is a case for it, not least in terms of improving the quality of teaching in a subject, with the argument being that, if pupils can choose to vote with their feet, then a teacher will be incentivised to teach as well as possible. The negative consequences, however, are considerable. Making the curriculum a market perhaps incentivises teachers to ‘sell’ their subjects, which perhaps involves focusing on the jazzy surface details, and not on the complex fundamentals of a subject that are difficult to explain in a sales pitch. Perhaps it involves inflating test schools so that pupils believe they are better at a subject than they really are. Perhaps it involves focusing on a narrower range of content (such as Nazi Germany) because this is more likely to appeal to the audience in question? None of this is doom-mongering: any history or geography teacher will tell you that these things happen every year in schools where pupils have to decide which subject to continue to GCSE. But perhaps the greatest flaw in the choice argument concerns whether or not a subject ought to be allowed to fail. What if pupils vote with their feet and decide not to study a particular subject? Teachers of some subjects in schools will be very familiar indeed with this problem: if you do not recruit enough pupils for a class to be financially viable, then jobs are potentially on the line. It follows that, if you support giving pupils real choice, then you are happy for them not to choose some subjects, which might then fold as a result. If a school thinks the subject that is lost is an important subject, then you risk the subject disappearing completely for failing to recruit so that no pupils study a subject that you feel matters. If you do not feel that the subject really matters – and that you are willing to let it ‘go under’ – then it is questionable why you were offering it in the first place. For me, mathematics, drama, music, chemistry, art and geography are all subjects that are too important to be allowed to fail, and unleashing market forces on these subjects would be a great loss to the education we provide in schools. The counter-argument here might well be “we already have choice in schools at age 13/14, and these subjects have survived”. Putting aside for a moment the fact that some subjects in schools barely do survive and are constantly scraping viable classes together, we should recognise that the system just about works currently as pupil choice is in fact very limited. When it comes to options, there is not a “none of the above” choice available to pupils. In practice, we limit the options available to things that we as a school think are important. I am comfortable with this, but it does not sit well with a philosophy of education that works from the premise that the curriculum should be based on choice. Whenever politicians talk about school choice, it is quite common to hear the response “a choice between two failing schools is not a choice”. Some pupils will feel the same way about the choices they are offered on the curriculum. You can get around this – with regular pupils surveys and opening more options – but all this does is exacerbate the problem I have already highlighted above concerning market forces. There are further practical problems as well. As a teacher, my ideal is to be able to sit down with a group of pupils and to have a fairly good idea of what they have already studied. In some subjects, where there is more of a linear model of progression in the subject – I am thinking here of subjects such as mathematics, languages and (to an extent) some aspects of the natural sciences – prior knowledge is frequently a prerequisite for learning about something new. 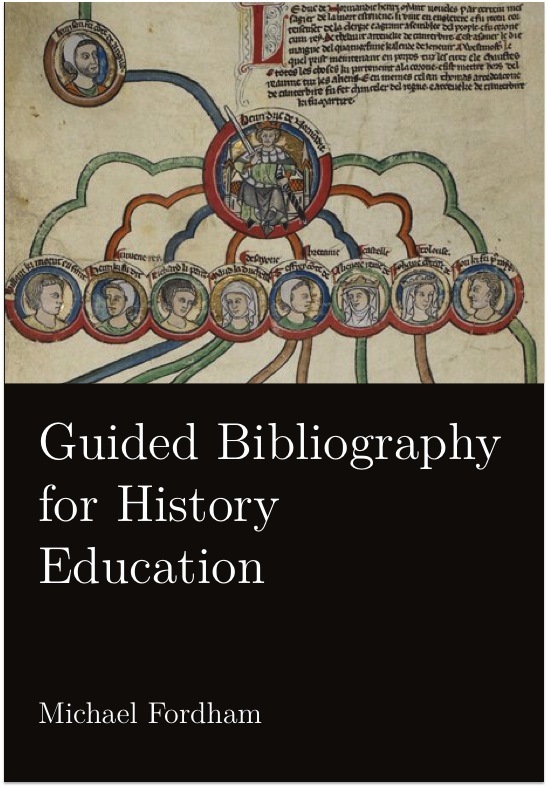 In other subjects – such as history or literature – it is very useful for a teacher to know what has already been studied, for this will help to shape the explanations and comparisons that he or she wants to make. Pupil choice interferes with this, for it increases the number of starting points that pupils have. If you think your subject is just a ‘collection of cool stuff’, then perhaps this does not matter, as each bit of ‘cool stuff’ is independent of the others. If, however, you see you subject as a discipline with complex interlocking components that have to be learnt, practised and honed over time, then pupil choice is highly disruptive. It is, finally, possible to offer a mixed economy, with some things being compulsory and others optional. This is in practice what all secondary schools in England do, as teaching some subjects (such as mathematics) is a statutory requirement. The crucial argument for me here concerns time: space on the timetable is the most precious resource that exists in a school. Any decision to give time to something else is a decision to take time away from other things. The correct response to any question about timetable changes is “from what subject do you want to take time away?” For me, I can think of more subjects that I would want to be compulsory than there is time available on the curriculum. I think it’s shocking that, in many schools, pupils are not studying more art, music and drama. We are one of the only countries in the developed world that does not ask pupils to study history and geography up to the age of sixteen. As a country, we have for too long not taken seriously the importance of learning other languages. Even if we taught all of these things and we managed to conjure additional curriculum time, I would happily see subjects such as psychology or economics. The argument for giving pupils more choice over what they study has, for many years, been associated with a ‘progressive’ philosophy of education, associated with romantic ideas of every child being able to explore the world in their own time, at their own pace, following lines of interest, searching for what is relevant to them, and so on. Advocates of variations of this philosophy are some of the most outspoken against ‘neoliberalism’ and its influence on education. Yet, on the matter of pupil choice, the two would seem quite closely aligned. Romantic liberalism must be close to an oxymoron, but in the case of pupil choice in the curriculum the two are closely aligned. Those advocating more pupil choice in terms of what they want to study are asking us to turn the school curriculum into a market. This is not something I can support. 7 Comments on Should pupils be given choice over what they study? I expect you know that Hirsch (in ‘Why Knowledge Matters’) makes the same connection between economics and curriculum, pointing out that faith in free market economics and progressive educational ideas are both based on what he calls ‘providential individualism’. Give people maximum choice, and everything will somehow work out for the best. And of course he is correct regarding free market economics, everything does indeed turn out for the best. We could have a discussion about best for whom but it is quite easy to argue that free market economics “work out for the best”. Progressive education as a philosophy bears little resemblance in any meaningful way to free market economics. Unless you suggest that “progressive education” implies some sort of free market system which I can’t see that it does. I’m not an economist. But I bet economists have a term for the following phenomenon. The more frequent transactions are, the better the free market works for consumers. My local cafe does a terrific full English breakfast – or rather, it does it just the way I like it. So I keep going back. If the food, or the service, deteriorates, I’ll go somewhere else. There might not be perfect competition, but in my affluent corner of the south midlands there are plenty of competitors; information might not be perfectly symmetrical, but I know all I need to know to make an informed decision. Markets in education are at the opposite end of the spectrum. When pupils decide which courses they want to study, they have some information. But the younger they are when they make those decisions, the less information they have, and the same is true of their parents. They might know, broadly, what their aptitudes are, though whether a couple of years of secondary education is enough to make a sound judgment about that I doubt. They don’t know what their long-term aspirations are: even if they think they do, those aspirations may well change. The ‘consumers’ of education aren’t just the children: they’re the adults those children will become, and who might well regret the decisions made for them by their past selves. So I agree with you! “When pupils decide which courses they want to study, they have some information”. The parents/carers and tutor are there to perform precisely this role, as they do now with options. Parents have to sign the KS4 options form. No right thinking school would let a child make such a decision. You seem to misrepresent the original case. Yes, I’m aware of the original post, and I’ve imagined the school. I do not, I’m afraid, share your confidence that an open day and a meeting would be the panacea you suggest. At my school, and I doubt we’re an outlier here, a great deal of time is spent with our pupils helping them decide on their A Level options. Nonetheless many, by the end of their time in the sixth form, think they’ve made at least one mistake in their subject choices. As our childen already ‘specialise’ significantly earlier than in (say) France or Germany I fear that abandoning more subjects earlier on would just limit pupils’ later opportunities. The idea that a school should manage the courses it offers base upon the needs of staffing and teacher’s preferences is for me ludicrous, and exactly why parents with their kids, not kids, should be able to choose. It will be thus in the near future once much more teaching is online. As far as the following quote is concerned, I would like to see the evidence for this assertion. I am a teacher of 20 odd years and a parent and grandparent. I give some kids more time than others because some kids need more time than others. Some have deficiencies in prior learning related to opportunity and others due to a special learning need. It is nothing to do with romantic ideas or progressive philosophy and I believe it would be thus for most teachers. If education were a completely free market, most kids in the UK would not be at school despite the legal requirement and those that were would, many of them be receiving a poor standard of education. Whereas the trad vs prog thing is false dichotomy (it is a dichotomy but a false one) being a free market and not being a free market are a real dichotomy. You are either one or the other. Education is not provided for all by the free market so Government steps in, mostly as an economic issue. Who then gets to decided which subjects learners are subjected to should perhaps be an issue for all stakeholders although Government should arguably have less of a say. One could not staff a school or even organise one effectively for all in a free market. The answer is not to be elitist and force your preferred subjects on the kid, the answer is to do away with the school. Virtual learning and platform based teaching with students and parents ranking teachers and courses would be the way to go. A sort of Uber educational platform. We are clearly moving this way so it is only a matter of time. We should perhaps put our efforts here rather than slavishly trying to maintain the current (traditional) approach when it clearly doesn’t work in the 21st century. So I believe you are coming up with reasonable answers, however you are asking the wrong questions. I believe history will demonstrate this more effectively than I can write about it.